Are you ready to grow? Join us in Lake Atitlán, Guatemala this November for a transformational 200 hour journey into the heart of yoga. Yoga and holistic birth support are potent therapeutic tools to empower the birthing journey from pregnancy to parenthood. This internationally recognized training program will ignite your journey to support healing and transformation during pregnancy and beyond. Sacred Birth focuses on nurturing conscious pregnancy and parenthood while addressing the medical, political and spiritual considerations of birthing. Sacred Birth, Doula and Prenatal Yoga Training is an 85+ hour dual certificate training. This training equips yoga teachers with tools to empower and support pregnant women throughout their pregnancies and labor. We encourage participants to explore and awaken to the radically healing potential of yoga and holistic birth support as therapeutic tools to empower the birthing journey from pregnancy to motherhood. After the completion of this course, yoga teachers will feel confident accommodating pregnant women in their regular classes, as well as be equipped to teach prenatal, couples workshops and postnatal yoga classes. Our program is holistically designed for those who are interested in learning a mind-body approach to pregnancy, childbirth and parenting preparation with a therapeutic focus. All women are welcome, including the pregnant and postpartum. Babies in arms are welcome too! We’ve combined doula training into the program to provide a well-rounded knowledge base and approach to yoga teaching. Whether you choose to attend births or not, the knowledge, training, and hands-on experience gained from this portion will be invaluable to being able to fully support pregnant women and their families. In the 18 hours dedicated to this topic, you will deepen your knowledge of the emotional, physical, and psychological aspects of pregnancy, birth, and the early parenting experience so you will feel prepared to answer common questions accurately and knowledgeably. With deep roots in Northern India, our approach blends traditional Hatha, Vinyasa and the fundamentals of therapeutic yoga to support individuals in leading joyful, empowered lives. Our alignment-based system incorporates mindfulness and traditional yogic wisdom with a modern understanding of the body. We believe yoga is for all people and create safe, inclusive, and engaging learning environments for you to discover your own potential. Our curriculum is developed around the three pillars of Mind, Body & Earth, believing that they are essential, interconnected aspects of the yogic path. To gain Yoga Alliance certification as RPYT, a 200-Hour Yoga Teacher Training is required. Others can participate but will not be eligible for registration as a Prenatal Yoga Teacher through Yoga Alliance. 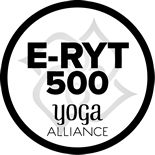 Awakened Spirit Yoga is a Yoga Alliance Registered Yoga School (RYS 200) and one of the few Registered Prenatal Yoga Schools (RPYS). We offer an 85-hour prenatal training as well as a combined prenatal yoga training and doula course. Intimate classes allow our dedicated team of teachers to provide personal attention, expert guidance and personal feedback throughout our trainings. Graduates of both of our programs are eligible for Registered Prenatal Yoga Teacher (RPYT) designation with Yoga Alliance. Curious whether this program is right for you? Book a time to chat with our team by clicking the button below and we'll speak with you over the phone, WhatsApp or Skype! San Marcos la Laguna is a small Mayan village on Lake Atitlán in the western highlands of Guatemala. It has become a Mecca for international travellers attracted by its beauty, tranquility and diverse options for spiritual exploration and therapy. Terraced into the side of a cliff, The Yoga Forest is a twenty five minute hike up into the valley from Lake Atitlán. To escape to our lush tropical food forest please travel to us with a backpack, organic soaps, a head torch and a spirit of adventure. The Yoga Forest is a sacred sanctuary with ancient Mayan altars and natural springs that have been protected as a Natural Reserve in order to honour the land and the heritage of its people. Take your time here to connect to Mother Earth and create space for transformation and self healing while enjoying the peace and tranquility of mountains looking out over the lake towards volcanoes San Pedro, Toliman and Atitlán. This is a unique retreat space within a tropical forest with amazing views, comfortable beds, delicious vegetarian meals, daily yoga and meditation and friendly community living. 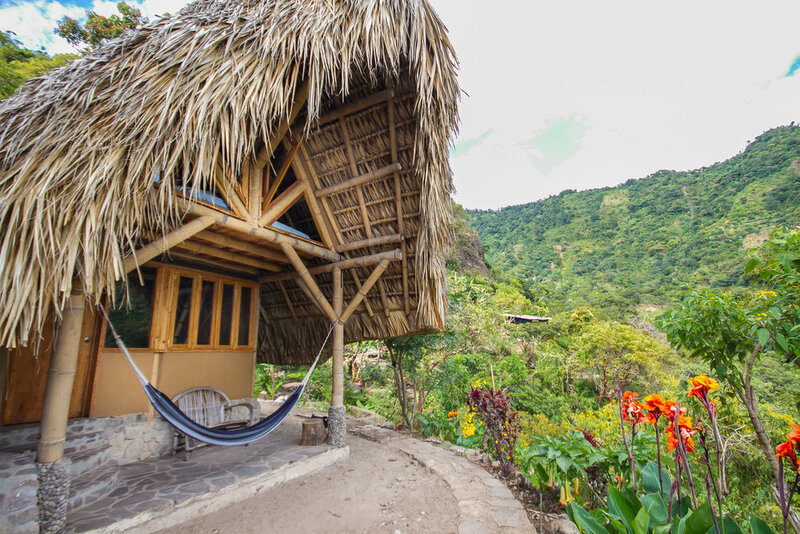 The shared cabañas at The Yoga Forest accommodate four people, in large single beds. Using natural building techniques, the cabañas are constructed with either bamboo or cypress, palm roof and natural adobe walls or traditional bahareque (wattle and daub) of this area. The beds are comfortable, with warm feather duvets and pillows, and decorated with Peruvian Shipibo fabrics and Guatemalan Cushions. All circus tents come with a comfortable mattress, feather duvets, blankets and cushions to keep you warm and cozy, all within beautiful natural forest surroundings. Includes: 1-week PYTT + Doula training including all classes, workshops, training manual, and choice of room & board. Does not include: Airfare, required reading texts. Once your deposit has been made we will notify you by email that your place in the course is secure. Deposit is non-refundable upon acceptance in the program. Contact us for Bank Transfer or PayPal information if you would prefer. Secure your space in our 85 Hour Prenatal YTT with a $500 deposit. Pay the full tuition for our 85 Hour Prenatal YTT. Shared accommodation in a 4-person cabaña during the Prenatal YTT. Shared glamping for the Prenatal YTT in a cozy circus tent. Upon successful registration in this program you will also need to reserve your choice of accommodation. Accommodation options include room and board (3 organic vegetarian meals per day), with lodging ranging from $375–$425 USD. “Julia is a fantastic teacher. She created a warm and community-like environment. I learned many skills and tools that I will use in my yoga classes, in my life and perhaps in my own pregnancy. I especially found learning her mindfulness and awareness based approach very valuable. This course is very thorough and addressed the various aspects of pregnancy: physiological, anatomical, psychological and spiritual. I highly recommend this course!" Join our mailing list to stay inspired and be the first to receive news and updates on our programs.